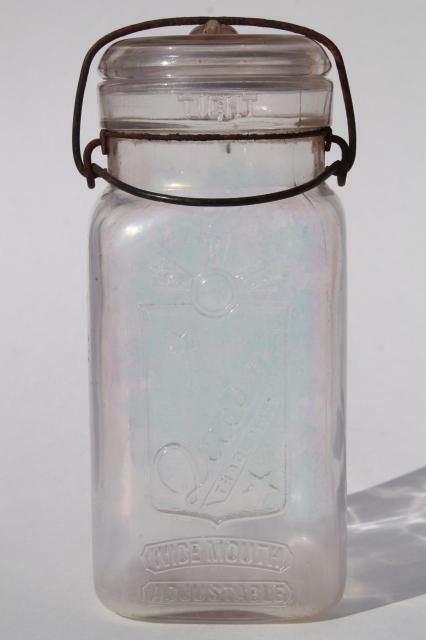 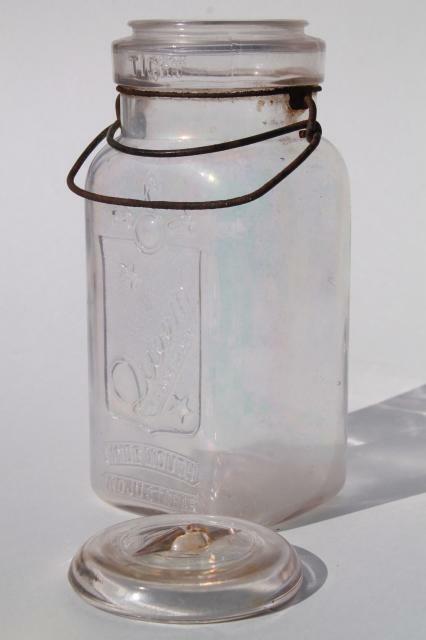 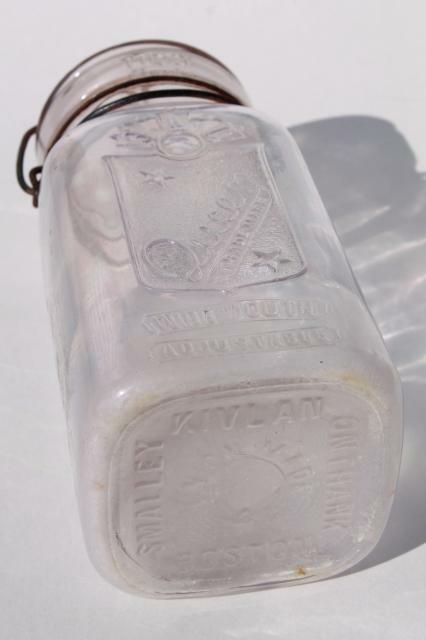 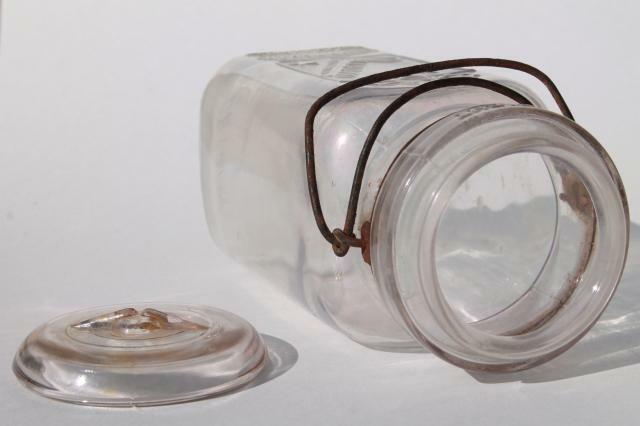 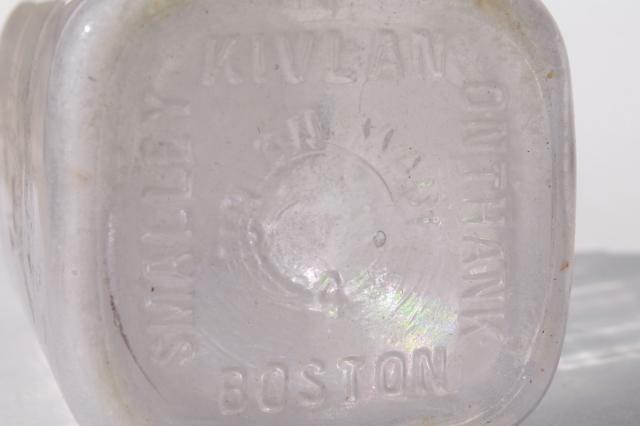 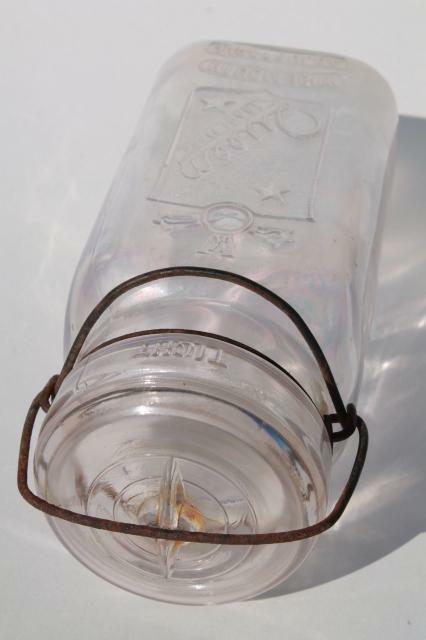 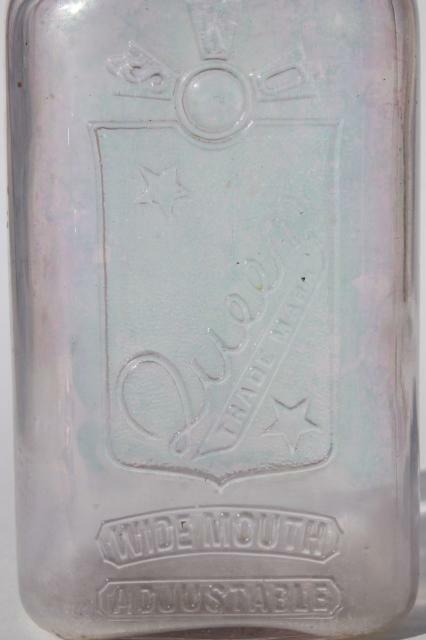 We love the embossed design on this Queen canning jar, though the clear glass is iridescent in color, not perfectly clear. 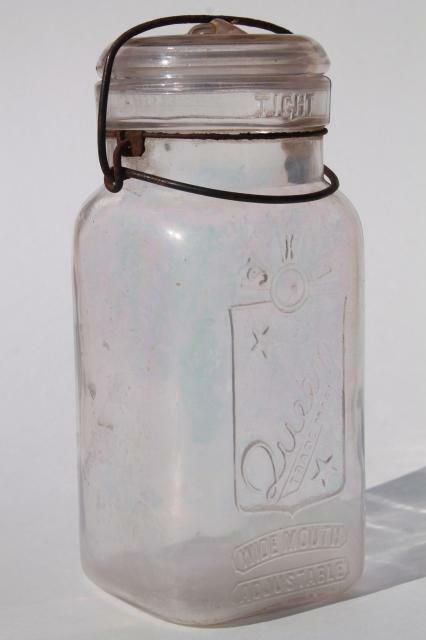 We'd guess this is probably a 'dug' piece, though it looks good without chips or cracks. 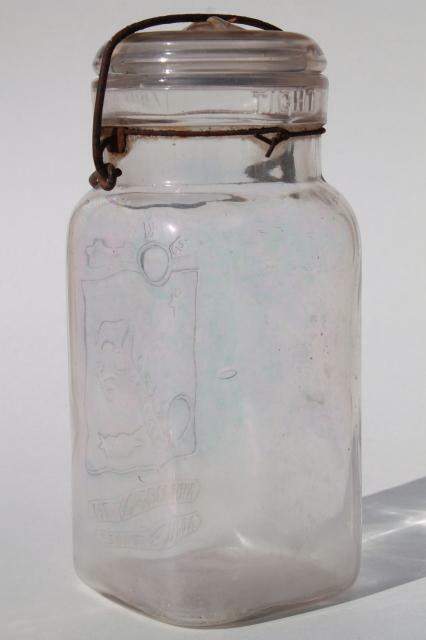 Stands about 8" tall overall.